When a firm begins the transition from one leadership generation to another, the most important decision is deciding who will be the next CEO. A logical choice is a branch manager. These individuals are likely CEO candidates because they have been serving in such a position on a regional basis. • Operate the branch office as a profitable entity. They’re experienced in profit accountability, since they must demonstrate and achieve financial viability as a branch. • Manage all office costs. They have to consider the impact of all costs—profit as well as overhead—on operations. • Promote market awareness. They must know demand and need for the branch’s services. They must also be aware of the issues that concern clients. • Keep up-to-date on human resource issues. They often serve as personnel manager as well as “head” of the branch. • Understand what it takes to be a successful branch operation. Therefore, they’re able to evaluate branch office manager candidate’s credentials and potential for success. A firm’s growth is often tied to its ability to successfully establish additional offices. Successful branch office managers have proven they can already do this. When you begin looking for a CEO successor, look beyond headquarters to branch offices where office managers are handling the “mini CEO” role. You have a choice. You can be out front, you can follow the pack, or you can get trampled as your competitors pass you by. In December, at the 2012 A/E/C Industry Summit, PSMJ is bringing together our industry’s top leaders and most successful firms to give you a glimpse into what’s coming for our industry. We give you the tools and advice you need to prepare your firm and ensure your success in the future. Just reserve your spot at this value-packed event by November 5, 2012 and you will instantly SAVE $300 on your registration fee...just in case you needed another reason to register now! • Design responsibility shared by all. With design-build, the contractor becomes a partner in the design, whether through value-engineering or onsite detailing. With P3, it’s even more complicated. Make sure the design roles and responsibilities are crystal clear. • Lengthy warranties. Architects and engineers don’t typically carry coverage past the standard of care, yet contractors do. The partnered delivery methods, the coverage responsibilities get blurred. • Complex BIM coordination. It’s hard enough to coordinate the BIM process between a prime and subcontractors. Decide early who is responsible for hosting, maintaining, and setting the standards for BIM use and documentation. • Open to the liability of others. In a design-build, and particularly a P3, an architecture and engineering become signatories to other contracts, thereby increasing the chance of being involved in a claim. • Likelihood of increased scope. This is problem on all project delivery types, but for a project that may last more than a decade, the scope always has to stay closely in check. As with any contract or delivery style, it’s always wise to consult with your legal advisor(s) and liability insurer(s) prior to tackling any type of alternate project delivery. The strength of every A/E/C firm is its project managers. Every practice must develop highly skilled project managers to deliver projects successfully. PSMJ's A/E/C Project Management Bootcamp, which has trained more than 30,000 top-flight project managers worldwide, dramatically improves the performance of project managers. This fall, PSMJ is providing 8 locations to give your project managers the tools and confidence needed to join the ranks of the world's most successful project managers. Register today! Can't make it to one of our Project Management Bootcamps this Fall? We just announced our NEW Spring 2013 dates! 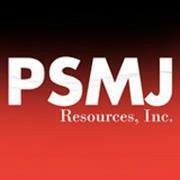 This Spring PSMJ will be coming to 15 locations all across North America and Canada, join us! 1. Consider incentives or spot bonuses to each staff person who suggests a potential opportunity. • It doesn’t have to be a ton of money, even a $100 or $200 gift certificate is a motivator. • Present the reward in a staff meeting and celebrate the person receiving it – that will take it most of the way in getting others on board. • Ratchet up the amount if a person does it again and again, and then make them a principal. 2. Remind Staff to Pay Attention. • Train staff to be magnets for information. • Explain to them how to think about possible connections to future projects. • Have them keep their antennas tuned to business development frequencies, listening for key words like new company, expansion needs, outgrowing space, etc. • Get a couple of additional business journal subscriptions to be shared by staff. • Have them write down 3 key points about the market or the economy and add them to daily conversations with clients & colleagues. 4. Become Trusted Advisors / Share What They Learn. • Share articles of interest or quotes with clients. • After conferences or seminars, share highlights with clients. • Have staff explain the design process to help clients understand and better enjoy the design process. 5. Implement a Customer Relationship Management (CRM) system. • This will help to ensure that staff are properly acknowledged for their information and rewards. 6. Encourage staff to show small courtesies. • Have them advise clients about upcoming events. • Have staff send notes of thanks, and congratulations – hand-written if possible. • Get staff to focus on remembering details of client’s lives, education, and family. A CRM system can help with this. • Allow staff to send flowers or cards on special occasions, with clearly understood budget limits. • Be accessible, friendly, curious. 8. Be Where Clients Are. • Budget for your staff to attend trade associations, specialty conferences. • Encourage them to present at conferences, and be part of panel discussions. • Educate staff to follow-up with contacts made at conferences. Share with staff an overview of your business development activities. Don’t keep those efforts a secret. It’s not necessary to share details of potential clients or projects, but a weekly reminder will start to raise the bar. Employees can help sell, partly based on their regular contact with clients, vendors, and consultants, but they must communicate on the same wave-length as the principals, so create a storyline for the 30-second elevator speech. Drill it in to everyone by including portions of it in your conversation around the office. For more vital information on how to effectivly approach business development, register for PSMJ’s Win Work Now: Three 1-Day Business Development Programs.This fall, PSMJ is providing 4 locations all across North America and Canada to give your whole firm the tools and confidence you need to succeed in bringing in more work for the firm. Register today! Failures by your subconsultants can lead to serious liability claims and potential losses. Your first line of control over potential risk is a well-written agreement. But you can also avoid problems with proper communication. Make sure your expectations are clear, and follow the points below. Your subconsultants are an integral part of your team! • Include subconsultants in project meetings. Including subs in team meetings helps them to feel like they’re part of the project team and to understand their role. Establishing good rapport with subs at the beginning of a project makes it easier to work with them during crunch times. • Share your standards. A pre-project meeting is a good time to make your expectations clearly known to subs. Presenting them with a detailed scope-of-work description, a set of correct drawings, and a written deadline will help them perform their job. It will help them understand where they may have deviated from your standards of performance. • If necessary, require the sub to perform the services in your office. This is important when coordination between disciplines and staff is complex, where quality assurance requirements must be maintained. • Support your subs. Ask your subs if there’s anything you can do to help make their part of the project delivery more efficient. Then follow through on their requests. Also paying subs on time will establish a good working relationship that will continue past the end of your project.